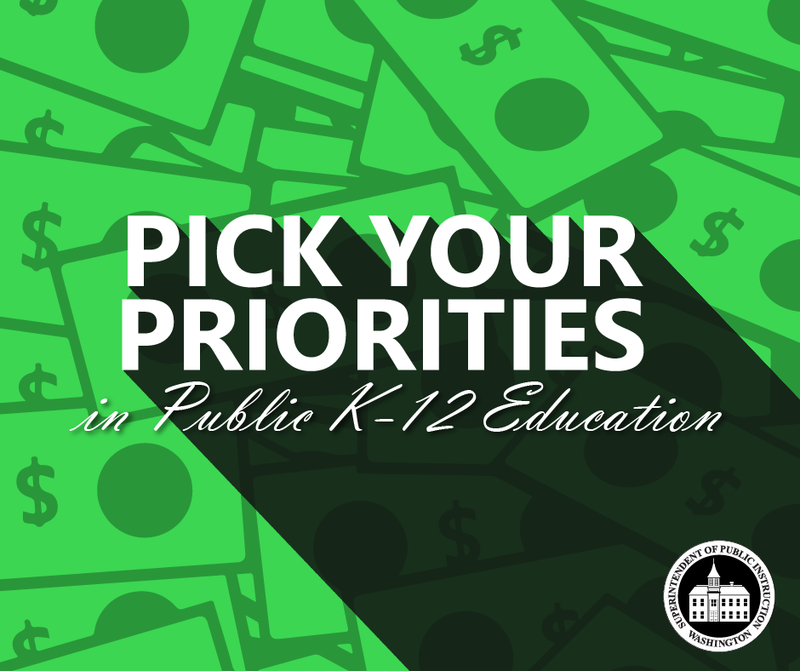 For the first time ever, OSPI is asking YOU what your priorities are in public K–12 education in Washington! 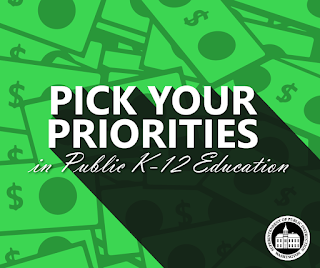 What you prioritize will help guide our 2019–21 budget requests for the Legislature and Governor. Please take 5 minutes to fill out the online survey to provide your input. Information about the survey, a one-minute long video, sample tweets in English and Spanish, a graphic to share in emails and social media, and links to the survey in 10 languages are also available. The survey will close this Friday, June 8, at midnight.